UPDATE: Tom Petty has now died, aged 66. After conflicting reports, his long-term manager Tony Dimitriades has issued a statement on behalf of Petty's family. He said: "On behalf of the Tom Petty family we are devastated to announce the untimely death of our father, husband, brother, leader and friend Tom Petty. "He suffered cardiac arrest at his home in Malibu in the early hours of this morning and was taken to UCLA Medical Center but could not be revived. "He died peacefully at 8:40pm PST surrounded by family, his bandmates and friends." Petty had been hospitalised following a cardiac arrest late on Sunday night, but earlier reports of the 66-year-old musician's death were initially denied. 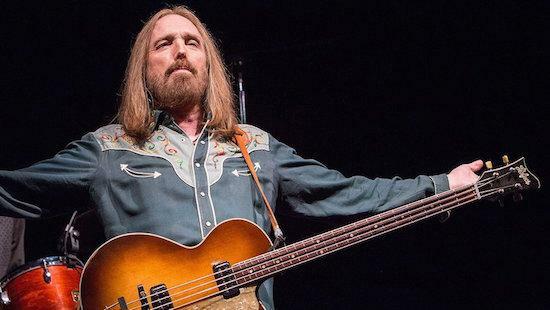 As The Los Angeles Times reported, Petty was taken to UCLA Santa Monica Hospital after Emergency Medical Technicians discovered him in cardiac arrest at his Malibu home on Sunday night. He was said to have been rushed to hospital with no detectable brain activity with subsequent reports by CBS News claiming that his life support was later switched off. As of 1:15pm Monday local time, there was no official confirmation that Petty had died, and The Los Angeles Police Department tweeted on Monday afternoon that "Initial information was inadvertantly provided to some media sources". Petty had fronted his band The Heartbreakers since 1976, and they released their self-titled debut album that same year. They were still active until his death with their most recent album, Hypnotic Eye, seeing release in 2014. The band had finished a tour only early last week at the Hollywood Bowl. Petty also enjoyed a highly successful and prolific solo career with his first solo album arriving in 1989 in the form of Full Moon Fever, an album which included his signature hit 'Free Fallin'' as well as 'I Won't Back Down', which was later covered by Johnny Cash, and 'Runnin' Down a Dream'. Petty racked up more than 80 million worldwide album sales between his solo work as well as his work as part of The Heartbreakers. Petty was also a part of British-American supergroup Traveling Wilburys, who featured George Harrison, Roy Orbison, Jeff Lynne and Bob Dylan, as well as Petty. They released two albums between 1988 and 1990.